Your eyes provide amazing opportunities to experience the world around you, but that experience may not be a pleasant one when eye allergies get in the way. This irritating problem can limit your vision, cause ongoing or recurring discomfort, and possibly even pose a threat to your corneal health. The good news is that you'll find a wealth of relief here at our optometry clinic, Maple Ridge Eye Care, where we're proud to offer eye allergy treatment from out experienced optometrist in Maple Ridge, BC. Any of these triggers can cause watery, itchy, reddened eyes, swollen eyelids, light sensitivity, and blurred vision, a collection of symptoms known as allergic conjunctivitis. 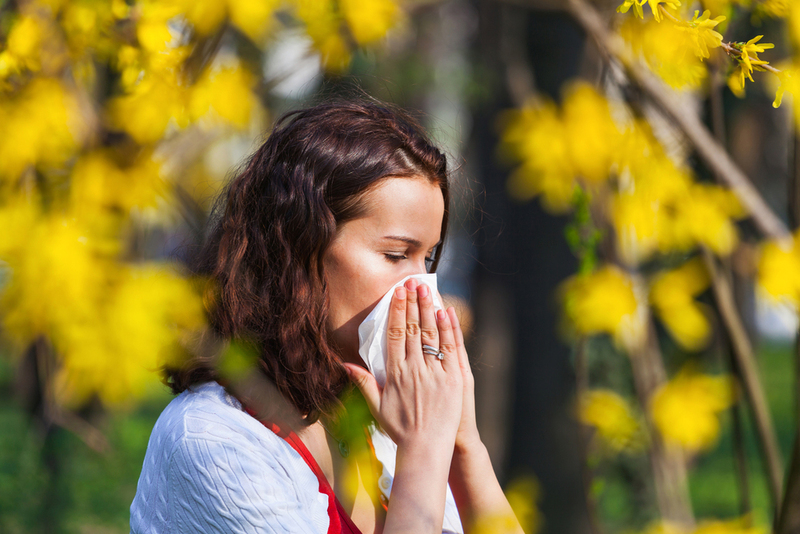 In some cases, allergens can cause irritation through direct contact with the eyes. Examples include cosmetics (eye makeup) and protein debris on contact lenses. Once we've pinpointed your specific allergy or allergies, our optometry center can administer the appropriate care to help you feel better, see more clearly, and protect your eyes from harm. Antihistamines, corticosteroids and/or eye drops may provide immediate relief. You may also benefit from protective wraparound sunglasses, changes in your cosmetics usage, or a switch to different contact lenses (or different contact lens cleaning practices). If you're ready to view your world through eyes untroubled by allergies, it's time for a visit to your trusted Maple Ridge optometrist. Call Maple Ridge Eye Care at 604-463-4469 to set up an eye exam and put a stop to those allergy symptoms!